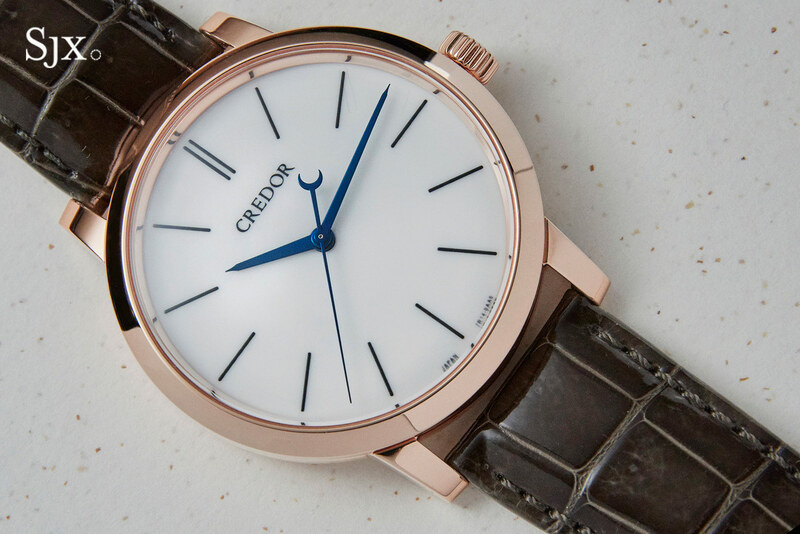 An impressively refined wristwatch, the Seiko Credor Eichi II just made its debut in rose gold at Baselworld 2018, launched to mark the 10th anniversary of the Credor Eichi I. Aside from the case metal, the new Eichi II appears identical to its platinum sibling, but it is not. The differences, however, are as modest and subtle, but perhaps interesting to the sort of collector who values the subtleties found in the Eichi, or 叡智 in Japanese, which means “wisdom”. 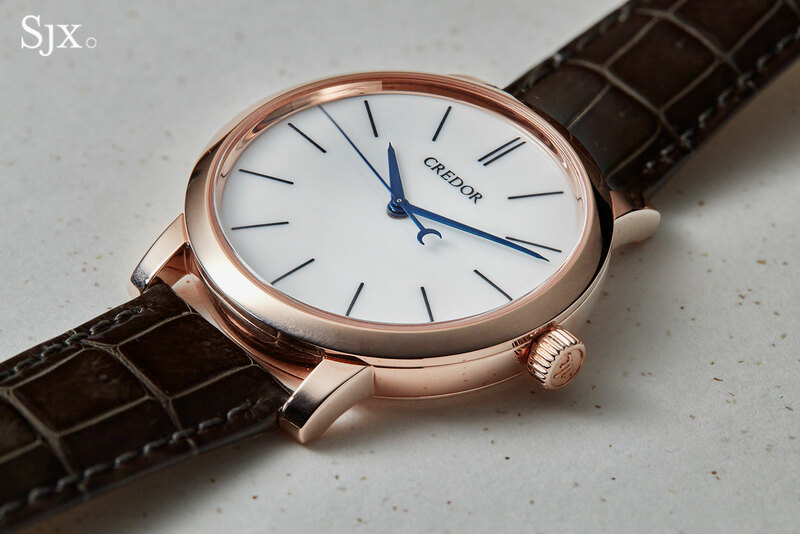 The case is exactly the same dimensions as the platinum model – 39mm wide and 10.3mm high – but with a different shape that’s achieved via a different manufacturing process. 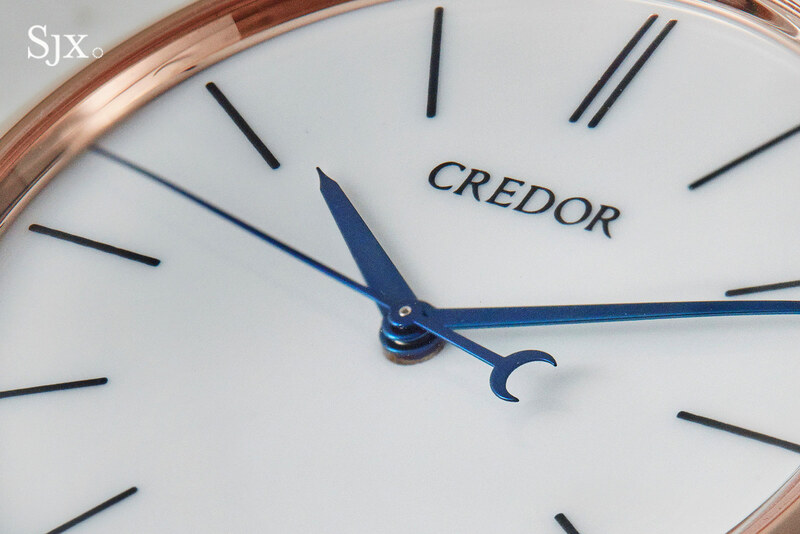 All of the surfaces and lines of the case are rounder than on the platinum version, intended to give the watch a softer look to match the warmer tone of the gold case. So the bezel is slightly domed, while the case band is slightly convex. It is practically imperceptible unless both the rose gold and platinum watches are put side by side. 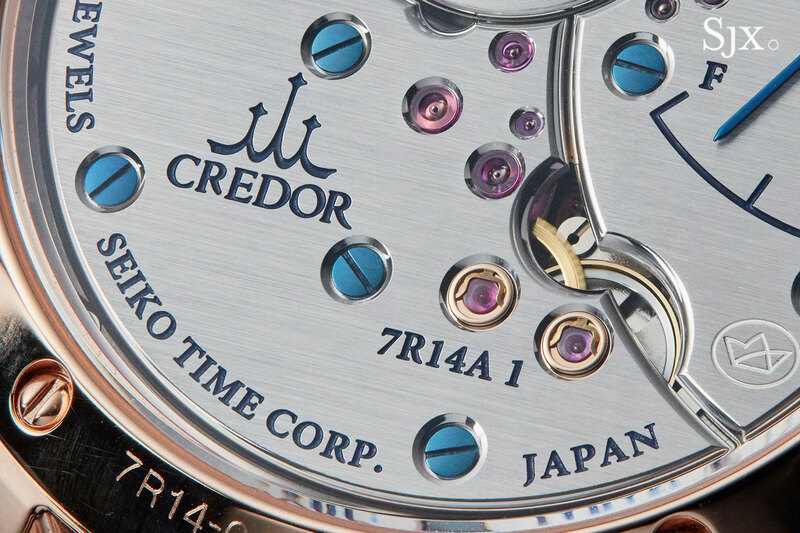 The reason for the changed form is the result of cold forging, used for the first time in Seiko’s top of the line watches. Unlike hot forging, where a metal blank is heated and then pressed into shape, cold forging is done at room temperature with greater force. The cold forging process is repeated several times in order to create the case components, raising the density of the gold, which in turn allows for Zaratsu polishing. Also known as Sallaz polishing (after the defunct Swiss machine tool maker that built the polishing machine), the technique creates a mirror finished surface that is extremely flat, with almost no distortion. But Zaratsu polishing can only be applied to a relatively harder metal, because it can distort the edges and corners of softer alloys. With the platinum Eichi II cold forging was not necessary, since platinum is slightly harder than gold. Another minor difference lies with the folding clasp. The platinum clasp for the platinum Eichi II is made in Japan, but the 18k rose gold folding buckle for the new Eichi II is made in Italy. 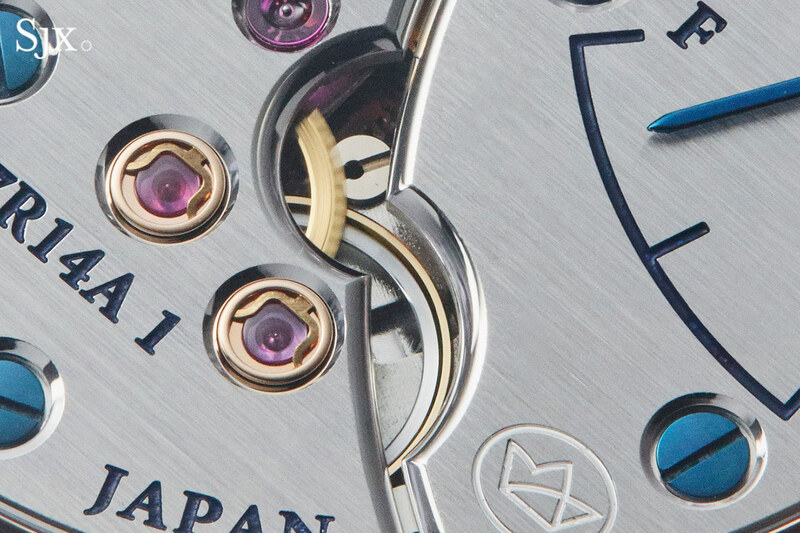 Consequently it feels like a clasp found on a high-end Swiss watch, while the Japan-made platinum buckle is thinner and slightly more old fashioned in construction. The reason for the change of supplier is currently unknown. A more obvious change can be found on the dial, which is still luminous white porcelain. 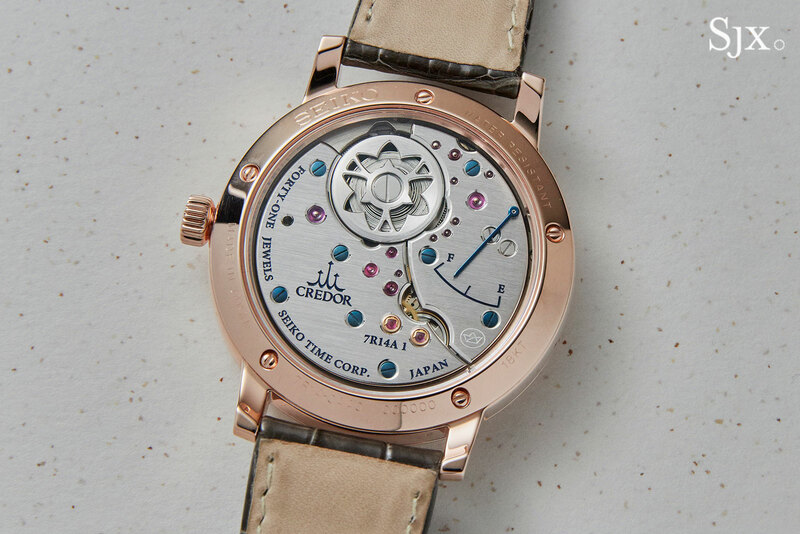 Whereas the original model had the hour markers and logo in blue, the rose gold Eichi has them in dark grey, or even black depending on the lighting and magnification. The markings are still applied the same way – painted freehand with a fine-tipped brush and microscope – with the new colour selected merely to match the case colour. 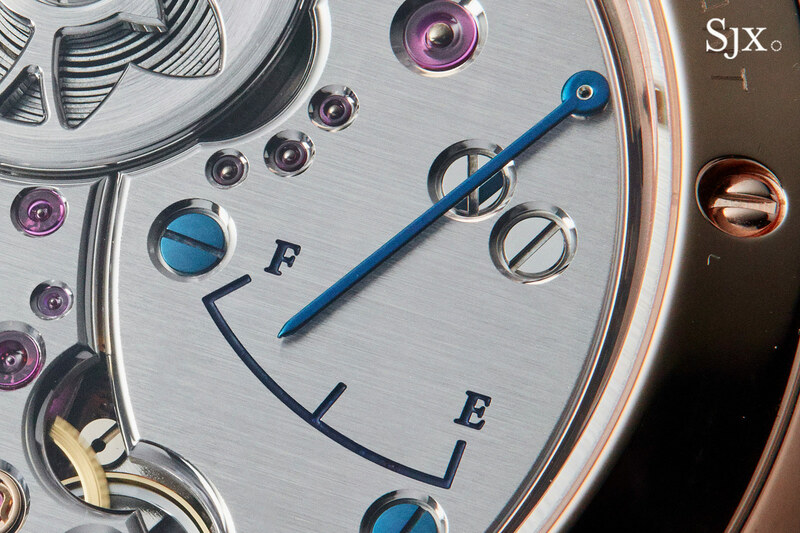 All three hands, however, remain exactly the same – flame blued steel. 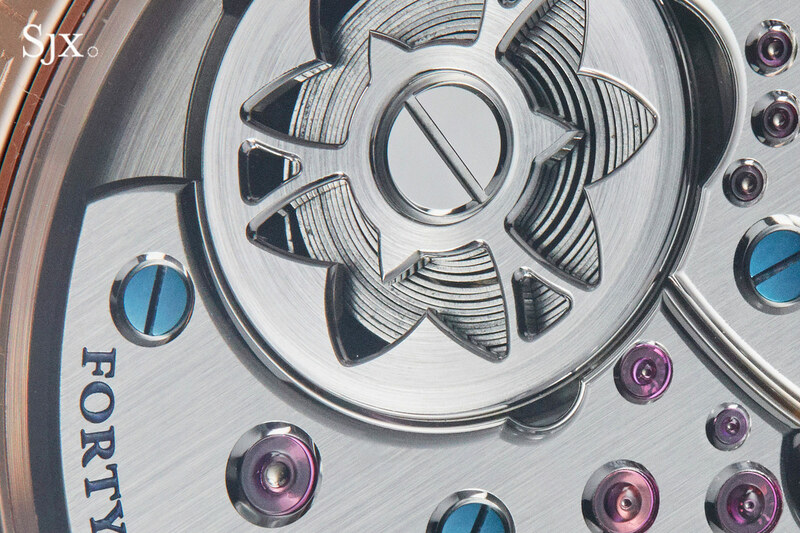 Over on the back, the movement is largely the same – and still gorgeous. The most obvious change is the blue lacquer filling for the lettering, done to match the colour of the blued steel screws. On the platinum model the lettering is gilded. Also different, though it has yet to be unconfirmed if it is an intentional change or variation in finishing technique, lies with the chamfered countersinks of the jewels nearest to the edges of the bridges. 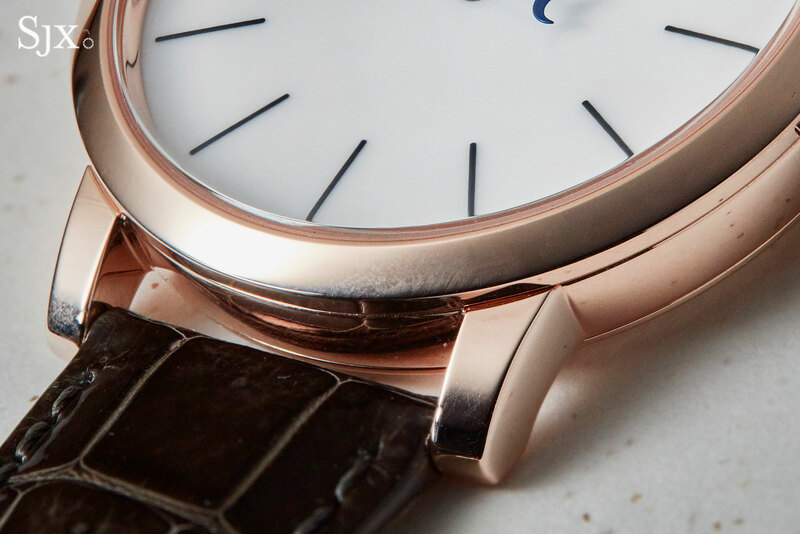 On the platinum model the countersinks and bevelled edges of the bridges touch, while on the new rose gold version they are separated by a tiny margin. All in all, the changes with the Eichi II are tiny. The watch remains marvellously well crafted. 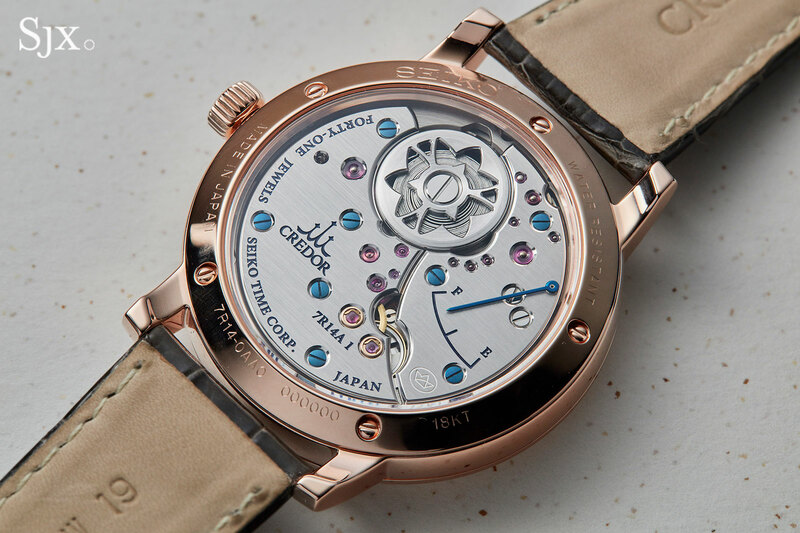 If anything the rose gold Eichi II is better value, since it retains all the signature qualities of the Eichi, namely the hand-finished movement and porcelain dial, but costs almost 25% less than the platinum model, priced at approximately US$41,000 versus US$54,000. 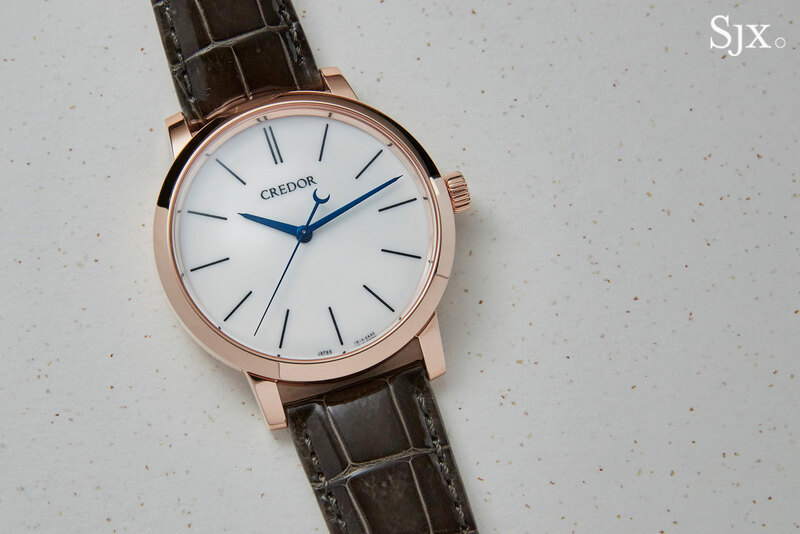 The Credor Eichi II in rose gold (ref. GBLT998) will be available starting July 2018 in Japan, and in August for the rest of the world. It is priced at ¥4.3m before taxes, or about US$41,000.